It’s my favorite time of the year and this year was such busy and messy time - personal and workwise. So for the first time in 5 years I didn’t plan my Holidays properly. Didn’t sell or sent my cards in time for ALL clients, family and friends. Just a few. But It’s OK. 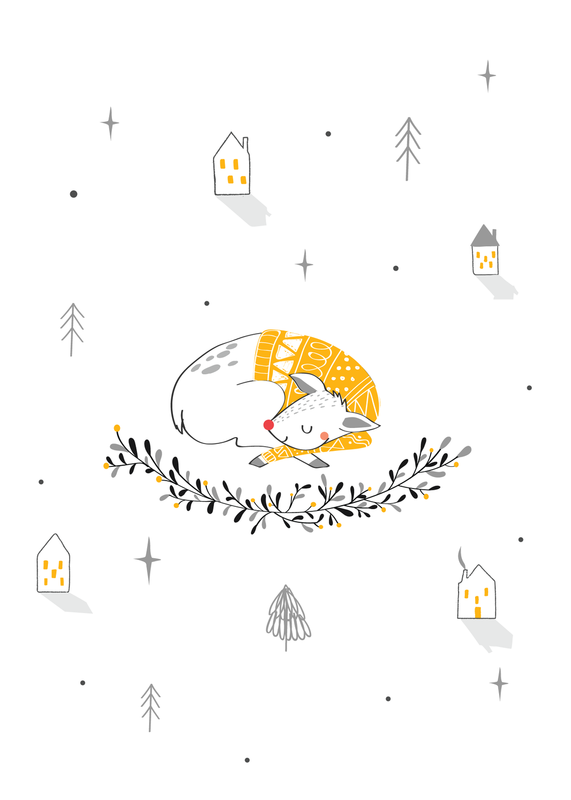 When I created this small collection I wanted to remember to just enjoy this cozy season and have a good time among your loved ones. That’s my wish to you all!